Every summer is somehow completely different and the same all at the same time. It is one of the wonders of what makes Camp so indescribable unless you have experienced it. There’s this feeling that comes over you when you come back to Camp after having spent the last nine months away. It’s extraordinary, and much like most things at camp, impossible to describe unless having lived it. But it is a feeling that is important to explain because it is the first thing you feel after getting over the initial excitement of returning and seeing your friends again. It was the summer of 2016 and my first summer back at Camp since 2013. I had taken two summers off of being staff to go to summer school for college and to study abroad. Having to decide to miss out on Camp not once but twice was one of the hardest ones I’ve had to make. But being able to come back to a place that felt very much like home was something that I was extremely excited about. I was also nervous. Anyone that has ever attended ADK, as a camper or staff, will tell you that it is “their place.” Camp allows you to own it. It becomes yours the second you set foot on that peninsula. It becomes a part of you, and you a part of it. And I knew that having spent two years away meant that there were going to be new people who had gone camping since I had been gone, who wouldn’t know me. 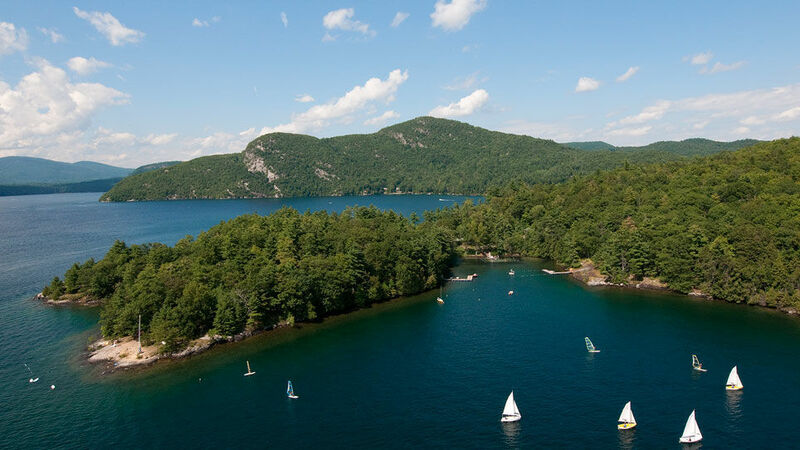 I was worried that because they now felt that Camp was theirs, that they would think that I was new, and wouldn’t understand that for the last ten years, ADK was a part of me, whether I had been there or not. I just wanted people to know that I had loved that place for many many years. It is something silly to worry about. I knew that no one was going to make me feel like an outsider, and no one was going to make me feel bad for being “new” or at least new in their eyes, but I just wanted to share my love for that place with everyone, and felt like I wouldn’t be able to do that right away because I had missed out on two years in a row. Again, this was a silly way to feel. Of course, there were still so many familiar faces to greet me with open arms, both people who I had been staff within 2013 and also who I had grown up with and been a camper with. It was the very different feeling of everything’s the same, but everything is different. The place was the same. The same lake, the same mountains, same cabins, activities, and sunsets, even some of the same people. But then there was this other feeling that something was different, and it was, and I didn’t realize at first that that was okay. But as the days went on, as I met more and more staff during training, everything began to feel right again. We were no longer “new staff” and “old staff” we were one. We were all staff, regardless of the number of years that we had called Camp “our place.” Together we were Camp’s – and Camp was ours. It was later on during that year’s staff training after we had moved into our cabins that I was walking from my cabin to the ball field for whatever activity we had planned next. I was walking down the rooted and rocky path from Wolf Den. Anyone walking that path for the first time, or even the 10th time, will tell you that it is not a mindless path to walk down, that it takes a little bit of concentration, but there I was, two years since I had lived in that Cabin as my last time as staff, hurriedly scurrying down the path, telling myself, don’t step on that rock, it’s loose, if you step on that root, you can jump to that other root and then hop directly on to the boardwalk. And as my foot hit the boardwalk, I realized how easy that was for me, after all the time that had passed, the rocks and roots were the same. My mind had taken me back to 2010, 2012, and 2013, to the three years I lived in that cabin, once as a camper, once as a CIT, and once as staff. It was 2016, a lot had changed, but the significant things did not. My mind and body still knew that I belonged on that peninsula, regardless of how long I had been away. And I know that one day I will have to go away for longer, to start my life, have a family, etc. But I know that after that when I do have the opportunity to go back, either as staff, or bringing my kids to camp, the second my foot touches the ball field- I’ll be home.